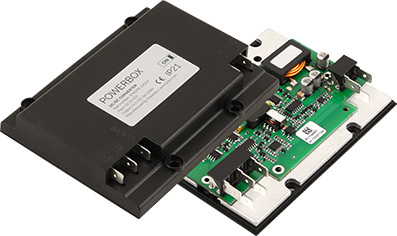 The Powerbox Automotive Line product range is a family of high density power supplies intended for applications demanding both electrical and environmental ruggedness. The products utilize innovative technologies offering DC/DC converters with a wide range of inputs and output combinations. 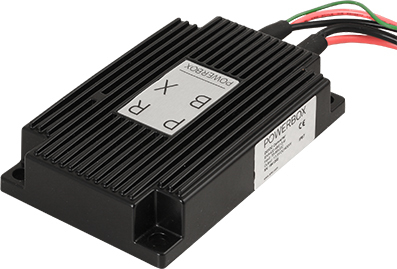 The portfolio includes high density chassismount converters. 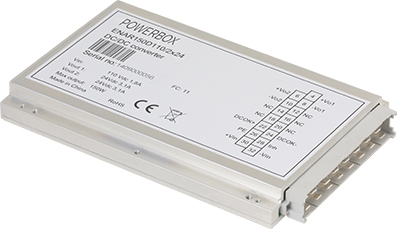 The ENA200 Series DC/DC converters come in ready to use chassismount enclosure with industry standard 6.3mm tab connectors. The inputs are designed for automotive range including immunity according to EN 61000, ISO 7637-2 and EN 12895:2000. The units are designed with conduction cooling allowing heat dissipation through the base plate and small space. Units also has unique smart thermal protection limiting the output power in case of over temperature. This allows passive current sharing in case of parallel or redundant operation.